Written by: Bill Burnett and Dave Evans. Knopf: New York (2016). 238 + xxxi pages. New product development professionals and product managers have come to recognize and value the power of design thinking. Design thinking helps us to view the customer’s perspective with empathy to generate better solutions to market problems. Moreover, design thinking integrates cross-functional work processes into a series of collaborative conversations that improve project outcomes. 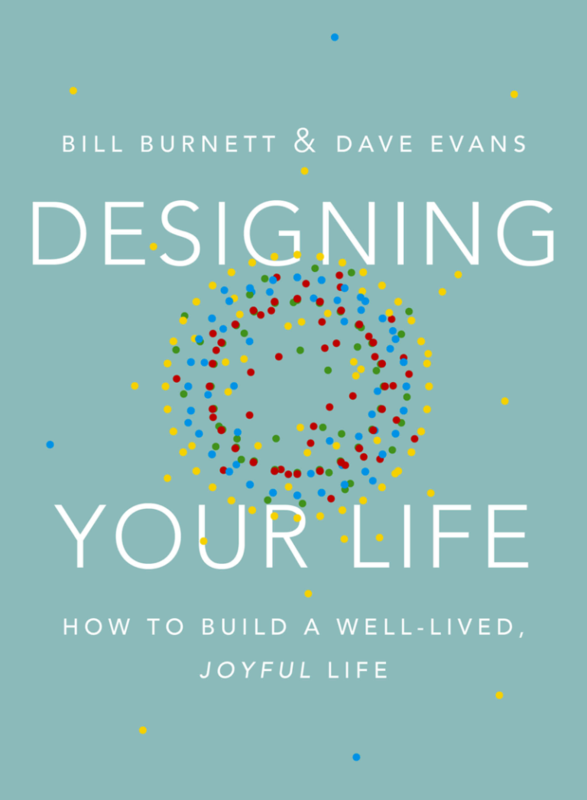 Bill Burnett and Dave Evans, professors at Stanford, share their experiences in design thinking in their new book, “Designing Your Life.” Instead of producing a widget, product, or service, the expected outcome from reading this tome is a balanced, productive life for each individual. This book offers more than any traditional self-help or leadership text by applying the well-known concepts of design thinking to finding joy and satisfaction in work, love, and play. In the first few chapters of “Designing Your Life,” the authors define design thinking and provide rich examples of their students who have found their purpose through the concepts and activities presented. Just as in product development, it is important to take inventory of the current state. In designing your life, you need to measure work, play, love, and health in the current state ad then compare these metrics to a life point in which you, personally, feel balance and joy. For one individual it may be okay to sacrifice play for work, while for another person the health metric is most important. Next, the authors ask us to complete exercises to determine our view of life and of work. This is a values-oriented activity to gain a better and deeper perspective on our own morals and desires. The authors point out that having a “work view” that conflicts with our “life view” will lead to stress. Everyone’s view of why we work is different (the “work view”) and may change at various points in life. To design your life, just as in designing a new product or service, the authors encourage prototyping. Instead of investing in and operating a new restaurant, a person can limit his/her risk and create a trial environment for a new career with a food truck. The lessons from prototyping help us to frame, and reframe, the next experiment. In addition, the authors recommend building a large network of collaborators (such as your PDMA colleagues). Ask for others to share their career stories. You don’t want their advice – since their lives and goals are different than yours – but you do want to learn. It is often in these informal conversations that hidden jobs are revealed and you can find a new career or volunteer opportunity. Design thinking in designing your life also involves a “pay-it-forward” scheme. You can build a team of mentors and confidants, yet you also must be willing to share your own story and help others prototype new experiences. “Designing Your Life” is an enjoyable and easy-to-read book. The very concept of applying design thinking principles to living a joy-enhanced life is intriguing and the authors share a lot of personal stories that are truly engaging and joy-filled. Furthermore, anyone working in product development or product management can reinforce the key ideas of design thinking through empathy, curiosity, and prototyping. Our approach to design is vastly enhanced when our own view is the perspective of the customer. “Designing Your Life” is recommended for any product development practitioner, regardless of title, work experience, or career stage. You can get your copy of Designing Your Life at Amazon (affiliate link).